I can’t really think of one topic that would be worthy of a post — so here are three random thoughts. I LOVE THE MEGA ROLL TOILET PAPER. Didn’t think you’d ever read someone praising the mega roll toilet paper. I love it out of pure laziness. Changing the toilet paper roller thingy isn’t a huge issue or too difficult, but the mega roll makes the change few and far between. So long single and double rolls, I’m in love with the mega roll. NEW BAKING PANS FASCINATE ME. During any excursion to a store, I’ve been drawn to the baking or baking pan aisle. During a recent trip to an outlet mall, I found a few baking pans on clearance. I bought a pan for making popovers — so super easy to make and so super yummy to eat. 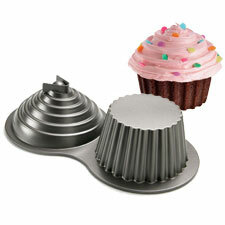 For the longest time I thought about buying a jumbo cupcake pan for one or both of my sisters. I think one of them — or both of them — would enjoy baking and decorating a big fat cupcake. I passed on the opportunity. 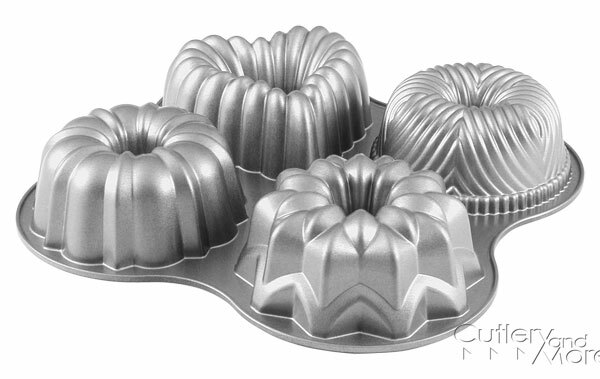 Another baking pan that made me think about buying was a cute mini bundt pan. I know several people who enjoy baking cute little bundt cakes — me included. But I have a very good reason for not buying the pan for me and Charlie. One, I’m diabetic. I have no business eating yummy desserts, which usually isn’t too much of a problem for me. I have a savory tooth not a sweet tooth. Two, I can’t bake four mini bundt cakes for my husband. Although I know Charlie would love the little cakes, he doesn’t really need them. **sigh** In the end, I passed the mini bundt cake pan. Why am I so fascinated with baking pans? I have no explanation. If I had more time, I would love to buy the pans and bake all day long. REALLY, ADULT CONTEMPORARY RADIO STATION, REALLY? Have you heard the song “Pumped Up Kicks” by Foster the People? The song has created a little bit of controversy due to the context of the song — a school shooting from the point of the teen gunman. First, the song isn’t an angry ballad or a super heavy rock song. The song is pure pop and super catchy and dancey. Charlie says the song is terrible — he and I disagree on many of my music choices. Anyway, a local adult contemporary radio station had played the song during my morning commute. However, the station bleeped out the words “gun” and “bullet.” Really? The chorus is basically: kids need to run, run, run (I’m totally paraphrasing) to outrun the gun. Kids need to run, run, run to outrun the bullet. What does bleeping out “gun” and “bullet” accomplish? Anyone who knows the song know what is being bleeped out. I understand bleeping out swear words, but “gun” and “bullet?” Really?